Like most 90s kids, I fondly remember the good old school days where S R Nathan and his wife graced the back of our school halls with their portraits. Many described him as kind, approachable and grandfatherly. For those who grew up with him, he was the people’s President. If you ask around, most would probably have met him at least once in their lives, either at the park, in their schools or at some events. 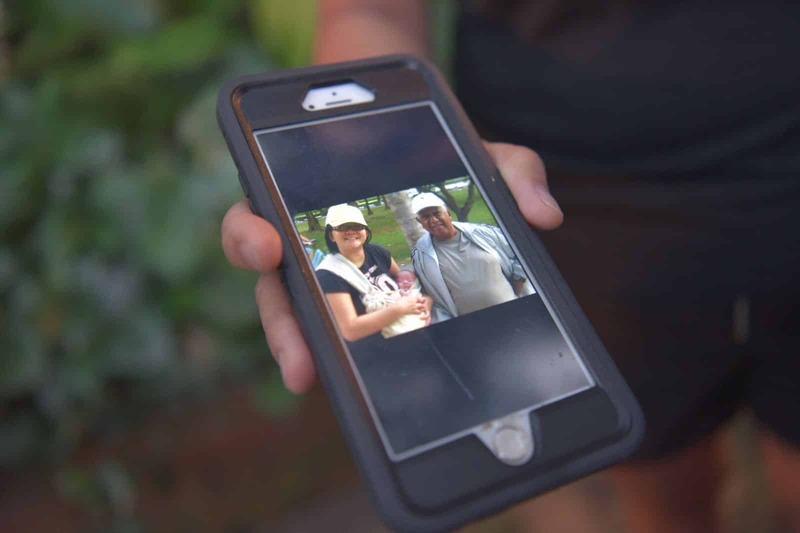 Ms Wong and her husband had taken several morning walks with Mr Nathan at East Coast Park. This photo was taken with her child who is now in Kindergarten. My first and last encounter with Mr Nathan was in 2004 when I was 14. A few of us from the choir had to perform for our school’s 70th anniversary at Grand Copthorne Hotel where Mr and Mrs Nathan graced the event as guests-of-honour. The experience was nerve-wrecking but seconds of interaction with Mr Nathan made it all worth it. He came up on stage and greeted us like a grandpa. We felt so comfortable around him. 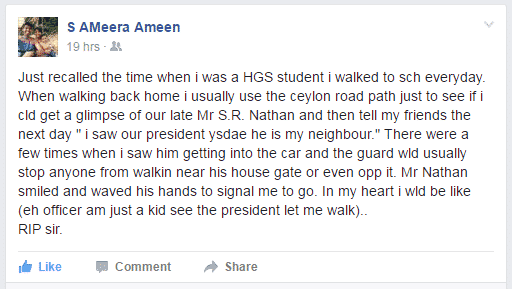 My friend would walk home from our school, Haig Girls’ Primary, at Ceylon road every day and stroll past his house, hoping to catch a glimpse of him. Once, Mr Nathan’s guard tried to stop her from walking near his house gate but Mr Nathan simply smiled and waved his hands to signal her to go. Last year, when Mr Nathan heard of a student in a neighbourhood school who was so poor that he didn’t have proper school shoes to wear, he called the school and asked how he could help. Later, he met the boy and set up a support system for him and his single father. He also attended the school’s retreat to inspire teachers and encouraged them not to give up on neighbourhood kids who cross their paths. Para-athlete, Dr William Tan, was diagnosed with Stage 4 leukemia in 2009 and was told he only had less than one year to live. 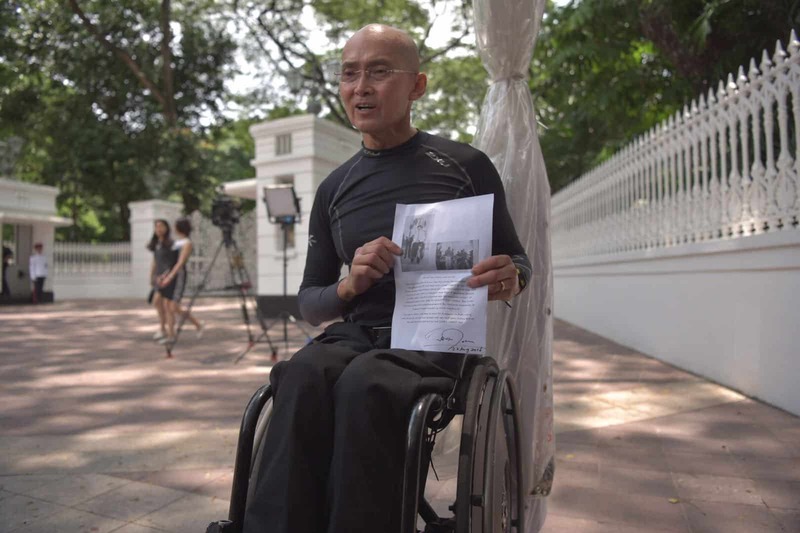 Mr Nathan wrote to him and told him to “keep on the fight”. He later signed many copies of Dr Tan’s memoir to help raise funds for his cancer treatment. 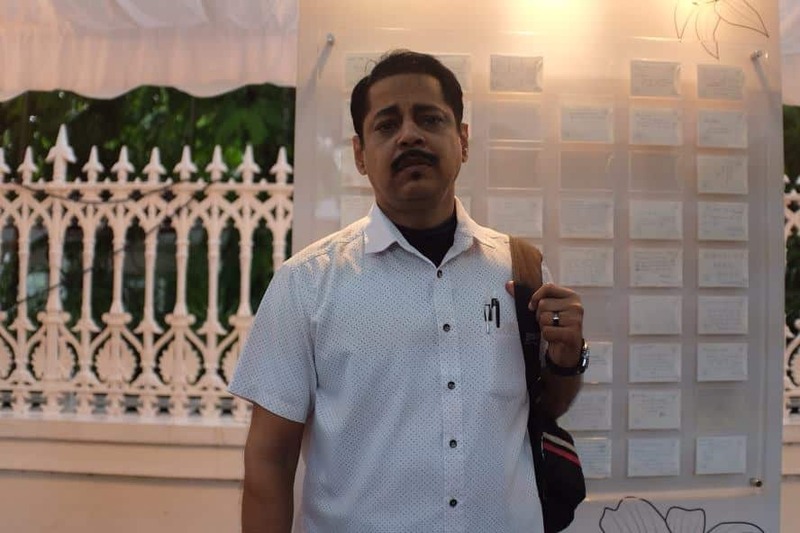 Mr Krishnasamy, a former security officer, cried himself day and night because he was struggling to make ends meet. When he met Mr Nathan, the inspiring figure showed him the light in the face of darkness and told him to build himself up and go for his dreams. Mr Krishnasamy then went to upgrade his skills and is now a security supervisor. 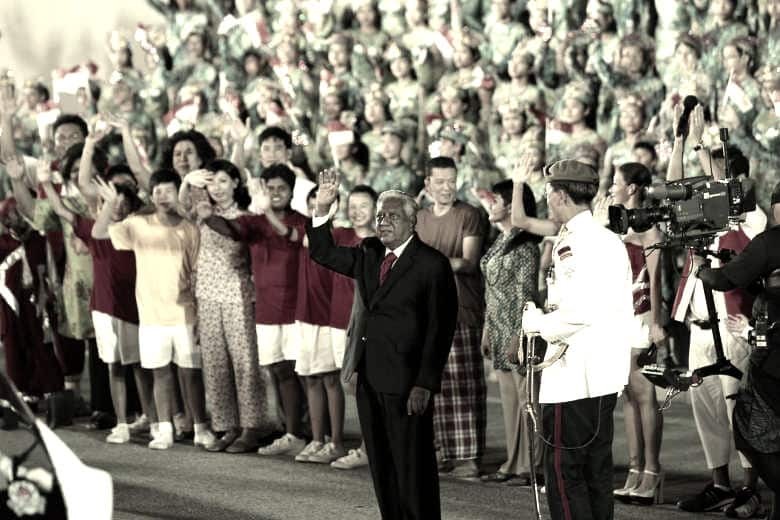 Mr Nathan, you said that the way you have been embraced and accepted by people of all races, of all strata of society, of all persuasions, as their President, gave you the most satisfaction. No, thank you for taking that first step in loving us as your people.